The survey ended last weekend, I notified the winner of the giveaway already and I got some very good ideas from your answers - thanks again to those who took part in it! In case you're interested in commissioning me, decide quickly! Depending on how a few things develope over the next week I might not have them open for much longer! 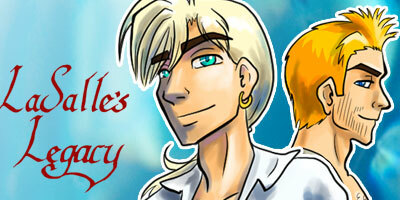 LaSalle's Legacy - Two brothers versus one zombie pirate holding a very big grudge against their father.